Last updated by Marcia Mayne at January 31, 2016 . Between 1690-1794, approximately 15,000 enslaved and free Africans were buried in a 6.6-acre plot in Lower Manhattan near what is now Duane and Elk Streets. The area was identified on maps of the time as the Negros Burial Ground. In 1991, an archeological team that was field-testing a construction site in Lower Manhattan (a requirement on any project which uses public funds that may have the potential to impact historic resources) made a surprising discovery – skeletal remains 24 feet below ground. They stopped excavation when it was determined that the remains were from the Negros Burial Ground. In all 419 bodies of men, women and children were unearthed. Bone fragments and other items uncovered at the site were sent to Howard University for examination. The remains held a compelling narrative about the life of New York City’s African population. It showed that many were malnourished, suffered from delayed bone development and recurrent illnesses. Nine percent of those buried at the site were children 2 years of age and younger. Many of the dead were adorned with beads, which were culturally significant, and shells that were believed to “enclose the soul’s immortal presence.” Some had their eyes covered with coins. At first, the government wanted to exhume and preserve the remains and continue construction of the 34-story Ted Weiss federal building but the community was outraged. Months of protests led to an agreement. A third of an acre of the site was set aside for a memorial. In 1993, the African Burial Ground was designated a National Historic Landmark, and a National Monument in 2006. In 2003, the remains were reinterred in seven raised mounds at the site. A memorial, which was designed by Rodney Léon was completed in 2007. It features a sunken Libation Court, a gathering space for cultural ceremonies, and is surrounded by a Circle of the Diaspora that is inscribed with signs, symbols, and images from the African Diaspora. There’s also an Ancestral Chamber that provides sacred space for contemplation, and a Wall of Remembrance that describes events that contributed to the creation of the African Burial Ground. The location where the remains were reburied are marked by Ancestral Pillars. A visitor center, which is located on the ground floor of the Weiss Building, features a permanent exhibition which tells the story of the lives of Africans in New York through photos, scrapbooks and installations. Life-size and lifelike sculptures of men and women gathered around a coffin is the centerpiece of the exhibition. The African Burial Ground Memorial site, which is at the corner of Duane and Elk Streets, is closed during the winter. However, the African Burial Ground Visitor Center, located around at 290 Broadway at Duane Street is open Tuesday-Saturday 10:00 a.m. to 4:00 p.m. Admission is free, but donations are accepted. 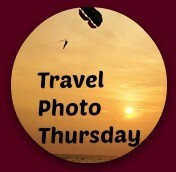 Linking up this week with Nancie’s Travel Photo Thursday at Budget Travelers Sandbox. One of the perks of living in a city the size of New York is the diversity it offers, not only in things to do but also in culinary offerings. Food from almost every nation is represented here. Last weekend, my friend Joan and I joined Ahoy New York for their Food Tasting and Cultural Walking Tour of Chinatown and Little Italy. We started in Little Italy and ended the tour in Chinatown. New York City’s Chinatown is a bustling neighborhood that is home to the largest population of Chinese outside of China – approximately 100,000. The neighborhood now occupies an area of about 2 miles stretching south roughly to Chambers Street, east to the Lower East Side, north to Little Italy and west to Broadway/Tribeca. In the mid-1800s, Chinese immigrants, men mostly, headed west to California, Gold Mountain as they called it, lured by dreams of striking it rich. Instead of gold, they found limited opportunities for work. Their dreams evaporated and with no money to return home or to send for their families their dreams they moved east. Arriving in New York City, these former residents of Canton, settled in the area around Mott, Pell and Doyers Streets and worked as cooks and launderers, jobs usually done by women. They brought their language, culture and culinary traditions like dim sum, bite-sized foods served steamed or fried. Dim Sum has its origins in the famous Silk Road when tea houses opened to accommodate weary travelers. Our first stop was Pongrsi Thai Restaurant on Bayard Street, the oldest family-run and operated Thai restaurant in New York City. Started by Khun Pongrsi and her husband Khun Prasit Tangchakkrachai, Pongrsi has been serving authentic Thai food in the same place since 1972. It is credited with popularizing Thai food in the city. After walking around for the better part of the morning, the chance to sit and enjoy the meal was quite welcome. We sampled Orange Chicken, Chicken Pra Ramm (peanut sauce/curry dish) and a Pad See Ew. My favorite, the Orange Chicken, was unlike any I’ve had. The orange was subtle enough to provide a delicious balance to the chicken. By the time the plate got to me, though, only a few pieces were left – it was that good. I really love Thai food so you can bet I’ll be back to Pongsri very soon. Leaving Pongsri, we walked through Columbus Park, and made a brief stop on Mulberry in the Five Points section of Lower Manhattan. You might remember Five Points, that notorious section of the city that was the setting for the movie, [simpleazon-link asin=”B004SIP7TE” locale=”us”]Gangs Of New York[/simpleazon-link]. Five Points got its name from the five-pointed intersection created by Orange now Baxter Street, Cross now Mosco Street, Anthony now Worth Street and Little Water Street, which or no longer exists. Today, that part of Mulberry Street is lined with funeral homes that serve the community. Soon we arrive at Tasty Dumpling, 54 Mulberry, for our first Chinese tasting. Can you guess what we sampled at Tasty Dumpling? Why, dumplings, of course! Tasty Dumpling’s dumplings get rated consistently as the best dumplings in Chinatown – and at 5 for $1.25, are a tasty bargain. That probably explains why nearly all the tables in this small eatery were occupied when we arrived so we crowded into the only free space – at the left of the counter. A woman was at the stove loading freshly made dumplings into a huge steamer while in the back two others were adding the filling to the dough. Our dumplings were still warm when they arrived. Liz added a soy-white vinegar sauce and passed them around. The wrapper was nice and firm and so translucent I could see the filling, and when I took a bite, it was moist and tasty, the dipping sauce adding a nice kick. Leaving Tasty Dumpling, we crossed over to Mott Street then to Doyers to Nom Wah Tea Parlor, our last stop on the tour. Nom Wah, the oldest dim sum restaurant in Chinatown has been around and on the same block of Doyers Street since the 1920s. The Choy family owned the restaurant until they sold it in 1974 to Wally Tang, a longtime employee. Mr. Tang started working at Nom Wah in the 1950s when he was 16 and began managing it when he was 20. Little has changed to the exterior of Nom Wah but Wilson Tang, the new manager and the next generation of Tangs, has upgraded the interior. Wally and his team of dim sum experts still keep an eye on things though. It was about 1:00 pm when we arrived and diners were clustered outside in groups of twos and threes waiting for tables. Someone from the restaurant would come to the door and call the next name on the list as tables became free. Good thing Liz had placed our order ahead of time so we didn’t have to wait. Nom Wah’s original egg rolls are round and fat. Stuffed with chicken and vegetables, they are rolled in egg crêpe then fried in homemade batter which makes them crisp and flaky. Despite being fried, they aren’t greasy. Each egg roll was cut in two and each of us got half but after all the food we’d sampled, one piece of this delicious treat was enough. We had come to the end of our three hour tour and it was time to say goodbye to Liz, our very enthusiastic tour guide. I’m sure all of Ahoy New York’s tour guides are knowledgeable, warm and sociable but Liz makes you feel like she’s giving a tour with long time friends. To recap, we visited Alleva Diary, DiPalo’s Fine Foods, Grand Appetito and Ferrara Bakery & Cafe in Little Italy, and Pongsri Thai Restaurant, Tasty Dumpling and Nom Wah Tea Parlor in Chinatown. We did a quick stop at the Italian American Museum, which I’ll cover in another post. One thing I forgot to mention: my friend Joan has severe allergies to shellfish and Ahoy was able to arrange other dishes for her to sample on the Chinatown part of the tour. Please note: I found this recipe for Thai Orange Chicken at Allrecipes.com. Heat 2 tablespoons olive oil in a large skillet over medium heat; cook and stir carrots, ginger, and garlic until carrots are slightly softened, about 5 minutes. Transfer carrot mixture to a bowl. Add remaining 2 tablespoons olive oil to the same skillet. Cook and stir chicken in the hot olive oil until no longer pink in the center, about 10 minutes. Add carrot mixture, water, peanuts, orange juice, soy sauce, brown sugar, ketchup, and red pepper flakes to chicken; stir to combine. Cover and simmer until sugar has dissolved, about 5 minutes. Remove about 1/4 cup sauce from the skillet; whisk in cornstarch until dissolved and sauce is smooth. Pour cornstarch mixture back into chicken and sauce; cook until sauce is slightly thickened, about 5 more minutes. Disclosure: We were guests of Ahoy New York on this Chinatown and Little Italy Food Tasting and Cultural Walking Tour, but as usual, the opinions expressed here are our own. Thanks to Ray and Alana, and Liz, our very knowledgeable, very entertaining and very enthusiastic tour guide. Can you name one popular Chinese dish that you won’t find in China? Elizabeth and I planned to meet uptown at The Cloisters Museum & Gardens a few days before I was scheduled to leave New York City. A friend from the blogging world, we’d read and commented on each other’s blogs for several months before we met and strengthened our connection offline. Talk about six degrees of separation? About a year ago, I was on the phone with Elizabeth arranging our first meeting when friend of hers arrived. Accompanying her was a cousin of mine that I’d never met. I still shake my head when I think how unbelievable that was. So I was looking forward to catching up with Elizabeth again and excited to experience The Cloisters with her. A branch of the Metropolitan Museum of Art, The Cloisters Museum & Gardens houses a fine collection of medieval art and manuscripts, illuminated books and Flemish tapestries. The museum was created from an endowment from John D. Rockefeller, Jr. and built to resemble several European medieval abbeys. At least five buildings were taken apart, the bricks reassembled to create the museum which occupies its own campus north of Manhattan in Fort Tryon Park. Despite a light rain and dark, ominous skies, the museum was bustling with people and activity. In addition to the beautiful tapestries, stained glass, sculptures and paintings for which The Cloisters is well-known, there was a sound installation of the reworked forty-voice motet, Spem in alium numquam habui by Thomas Tallis, in the Fuentidueña Chapel. The installation, by Canadian multimedia artist Janet Cardiff, is the first presentation of contemporary art at The Cloisters. Forty speakers, one for each voice, have been mounted throughout the chapel, filling the museum with haunting choral sounds that seemed to follow us where ever we went. The installation will be on display until December 8, 2013. Elizabeth and I had planned to have a bite in the cafe and sit in the garden but the rain changed that plan. That only means that we’ll return when the weather’s better. The Cloisters Museum & Gardens is located at 99 Margaret Corbin Drive, Fort Tryon Park, New York. The museum is open 7 days from 10:00 a.m. to 5:30 p.m. Accessible to the M4 bus (The Cloisters/Fort Tryon Park), and ‘A’ train (190th Street station). Free parking is available at Fort Tryon Park. Each city has its own unique skyline and New York City is no different. With skyscrapers that soar to dizzying heights and in different colors and shapes, from a distance, they look almost like they were taken from a pop-up book. I remember the first time I heard the word skyscrapers. I might have been about 11 then. I could never, not in my wildest dreams anyway, have imagined buildings so tall. When I saw them a few years later, my eyes searched the sky trying to find the top floors. New York City has, a various times, had some of the tallest buildings in the US as well as the world. The Empire State Building, at 1,250 feet, was the tallest building in the US when it was completed in the 1930s. The Trump Building or 40 Wall Street was the tallest building in the world for two months until the completion of the Chrysler Building. The Art Deco style Chrysler Building, 1,046 feet, was the tallest man-made structure in the world from 1930-31. It is the 50th tallest building in the world. It’s hard to imagine that the Metropolitan Life Tower, which is only 700 feet, was the tallest building in the world for 4 years until the Woolworth Building was built in 1913. It took a mere 92 feet for the Woolworth to claim the title of tallest building in the world. And it held on to it for 17 years. All these skyscrapers in New York City and the country have now been eclipsed by One World Trade Center, which you can see on the left in the photo above. It stands at 1,776 feet and is the fourth tallest building in the world. By far the best way to appreciate the height and beauty of New York City’s skyscrapers is from a distance. My favorite places to view them are from the waterways and islands around Manhattan. Some locations in Brooklyn and New Jersey, especially those that line the coastline, aren’t bad either. I’ve always enjoyed the fall and this year, I get to spend part of it in New York City, one of my favorite places. After being in Jamaica, where the temperature rarely dips below 70 degrees in most places, I have a new appreciation for the cool, crisp air that fall brings. You can almost feel the switch that comes as the last days of August usher in September and the frenetic pace of summer gives way to the gentleness of fall. Here are a few of the fall activities that I look forward to doing. 1. 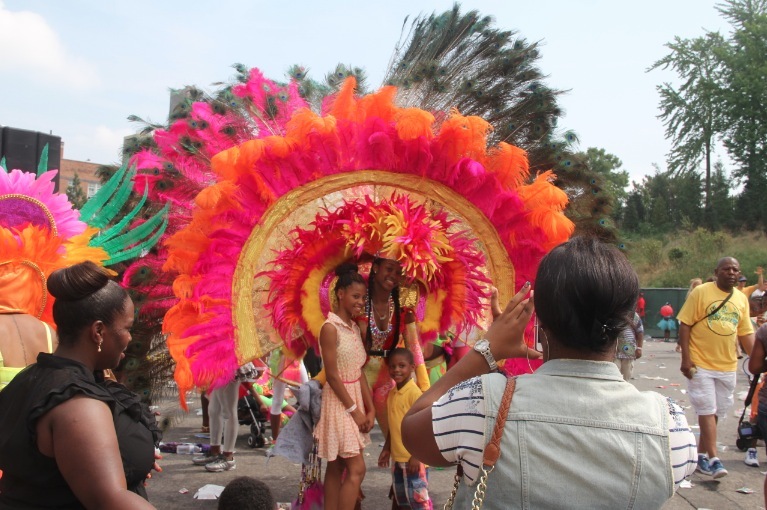 West Indian American Carnival – This annual cultural extravaganza takes place in Brooklyn on Labor Day and signals the end of summer. Millions come out to prance and ‘wine’ and enjoy the vibrant celebration of West Indian culture. 2. Brooklyn Book Festival – Started in 2006 by Brooklyn Borough President, Marty Markowitz, to give voice to the writers who call Brooklyn home, the BBF has since expanded to include writers from outside the borough. The festival, which is free, will be held on September 22nd at Borough Hall and other venues. 3. Wine Tastings – Each fall, we drive out to Long Island’s North Fork to meet friends for our usual wine country tour. We try to visit two or three vineyards and have lunch then drive back to the city. I’ve always wanted to check out some of the wine festivals in New Jersey, and might do that this year as well. 4. 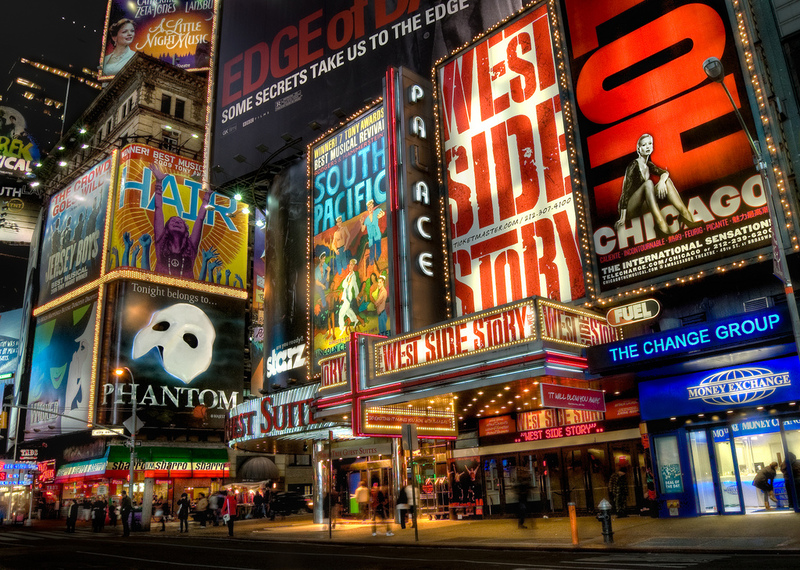 Broadway comes alive – Fall also means the new theater season begins on and off-Broadway. Here’s what I’m looking forward to seeing: After Midnight, The Glass Menagerie, Macbeth, Richard III, and Waiting for Godot. 5. Fall Fashion Week – Not just for fashionistas and big name designers, Fall Fashion Week is a chance to get a peek at they styles that will be in the stores in spring and check out the work of designers who’re not yet household names. Fall Fashion Week is on until September 12th. Fall is not only about the turning of the leaves or the coolness in the air, it’s also the time I celebrate my birthday. The party lasts all month and usually involves a themed event, and a trip north to Toronto to celebrate with my friends from university. This post is part of the fall blog carnival hosted by Patti at One Road at a Time. Be sure to check out what other bloggers have to say about fall. Being in New York on September 12, 2001 was like living Hollywood’s depiction of the End. The normally bustling city was eerily quiet as if everyone had left in hurry. The World had shifted, and we who were still around were holding our collective breaths, unsure what our next move should be. I took the subway to work, not because I had to but because I couldn’t watch any more television, and because I wanted everything to go back to normal, in a New York minute. Somehow, I thought, if I willed myself to go out, the city would do the same. That spirit of resilience did return but it would take months for the new normal to take shape. window, 9 floors up, I could look straight down into the crater that was once the World Trade Center. I did, once, and that was enough. I kept playing back the images I’d seen on television of people jumping to their deaths. I tried to imagine the terror that pushed them to make that choice. It was difficult for me to fathom. Each morning as I walked the narrow path that wound its way through the cleanup site and lead to my office, I wondered if the spot I had just put my foot was the place someone had died. No matter how early I went to work, people clogged the path and lined the chain link fence that surrounded it. I couldn’t understand why anyone who didn’t need to be there wanted to and worse, to bring children, some still in strollers. No one wore masks or covered their noses from the acrid stench that stained the air like bad gas. I dreaded going to work until I discovered a new subway stop that bypassed the site altogether. It meant a longer walk, but it was worth it. On that first anniversary, I wept during the minute of silence at work. I wept for the victims, their families and for my city. By the time work took me to New Jersey, the debris had cleared. And as the PATH train snaked through what was the lower levels of World Trade Center station, I turned my back, I didn’t want to look. I still couldn’t shake the feeling that I was disturbing the dead. I was relieved when construction started to take shape and the new towers began to rise quickly, triumphantly to the sky. The events of 9/11 cast a long shadow over New York City and the U.S. It was the closest thing to war for me. I can’t forget, I won’t forget but I can smile because New York City has healed. New York City has found its new normal. Update: Two of my friends in New York emailed me that today’s an almost exact replica of 9/11. Besides it being a Tuesday, the skies are beautiful, not a cloud and the air is crisp. New York City is full of little gems waiting to be discovered. Truthfully, though, we become so dazzled by the lights, mesmerized by the skyscrapers or are in such a mad rush to get from one place to the next that we miss some of the more obscure jewels that are in plain sight. One such jewel is Library Way, a two-block long stretch of 41st Street between Fifth and Park Avenues that is a celebration of the written word. The project was born out of a partnership between the New York Public Library and Grand Central Partnership and was aimed at sprucing up the street. Using passages from notable authors and artists as inspiration, over 40 unique bronze plaques created by the Andrews/Lefevre Studios now grace the otherwise grey sidewalk. They’re not hard to spot, these plaques, but you’d probably walk right over them during rush hour. And if you did happen to spot them then, you’d hardly be able to stop and read let alone photograph them because of the foot traffic.